With eSports on the rise and more people turning to high-end gaming PCs, LG has unveiled a new range of high-end ultrawide and Ultra HD monitors tailored towards providing smooth and vivid gaming experience. 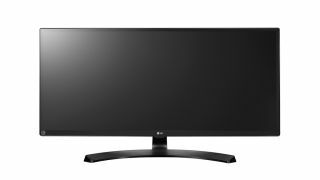 LG’s 34-inch ultrawide monitors have 21:9 WQHD IPS displays capable of 3440x1440 resolutions, and are available in both curved (34UC88) and flat (34UM88C) variations. Both ultrawide models are priced at $1499, and provide Maxx Audio and USB 3.0 quick charge capability. As for its UHD monitor (27UD88), LG has opted for a 27-inch IPS LED display that supports resolutions of up to 3840 x 2160. It sports USB Type-C connectivity and is priced slightly cheaper than its ultrawide comrades at $1299. Increased smoothness is the order of the day, with all three monitors outfitted with a Game Mode and Black Stabiliser, as well as Dynamic Action Sync and AMD FreeSync technology for reduced stuttering and screen tearing.